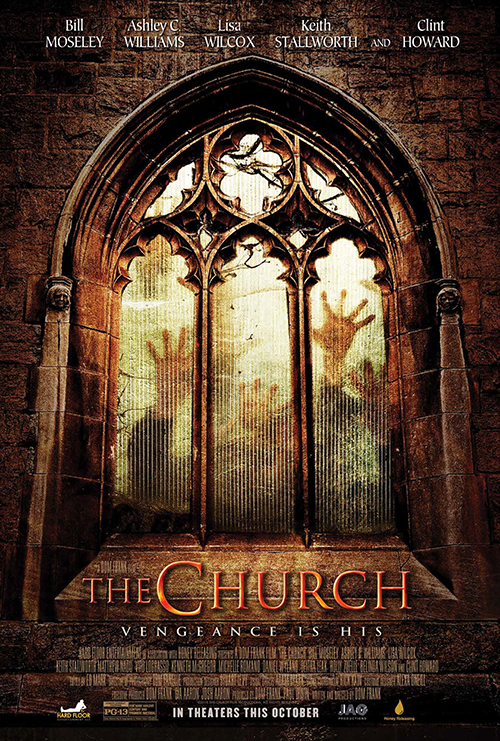 Religious horror continues to flow to the mainstream audiences, but can a creepy location and genre veterans make “The Church” stand out to audiences? Cast: Clint Howard,Bill Moseley, Ashley C. Williams, Lisa Wilcox, Deitra Leak, Matthew Nadu, Victoria Gates, Holly Zuelle, Keith Stallworth, Meghan Strange, Daniel Wyland, Kenneth McGregor, Shaun Paul Costello, Vito LoGrasso, Marcia Myers, Michelle Romano, Joe Barlam and James Collins Jr. 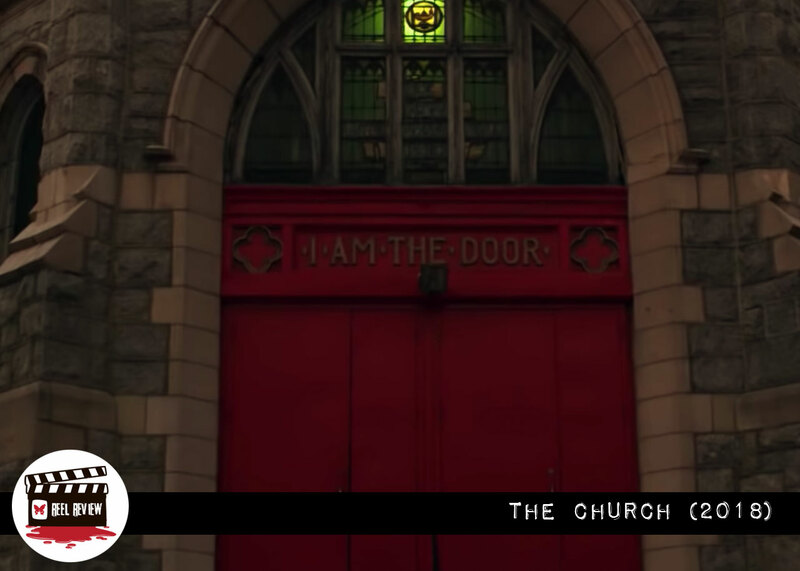 The minister of a once vibrant church is the sole holdout in a decaying Philadelphia neighborhood marked for gentrification. The preacher’s resolve to preserve his family’s evangelical legacy dissolves under pressure from his status-seeking wife and greedy church leaders. Soon, the spirits of founding congregational members begin to make their displeasure known. Religious horror continues to be churned out at a steady pace with some offerings thrilling crowds and others turning them away. 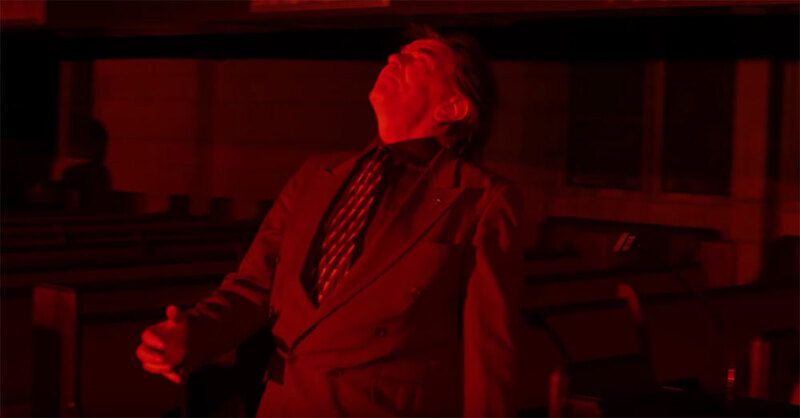 Whether you are a fan of possession films, church conspiracy or even evil nuns and priests, religion is certainly a fertile ground for horror to thrive in. You don’t even have to be religious to watch one of these films and get the unholy chill that many exude over an audience. Director Dom Frank’s (THREE D, APNEA) is one of those films that falls right into the middle of that spectrum with plenty to like but also plenty to flinch at. 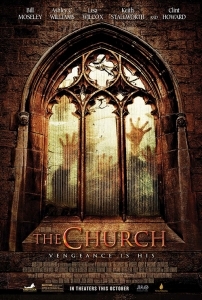 Positives include a cast that is noteworthy to those that enjoy the horror genre, a location that is quite believable in its menacing quality and look as well as being beautifully shot, but the detractions such as a lack of practical FX work and an over-abundance of digital FX slow your ability as a viewer to suspend your disbelief. Also, as with any Indie genre release, you will have some elements in the acting that don’t quite mesh with the powerhouse performances of other cast members. That is not to say that there isn’t something to enjoy here. The first thing that hits you with THE CHURCH is the absolutely stunning main location. 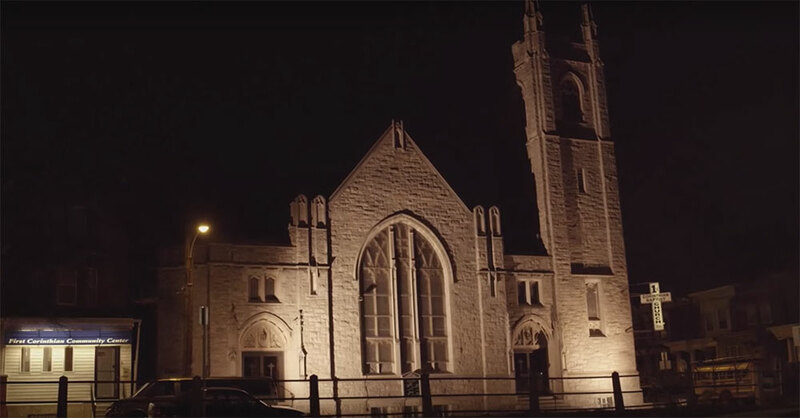 The church itself is a very powerful location that is very broad and strong in its character appeal, and its visual appearance could make you believe that something dark and foreboding is hiding within its walls. Part of what helps with that is how well the film is shot. The camerawork is quite steady and never detracts from what you see on the screen with a wide variety of shots and fluidity. The sound is quite capable as well as you get the booming echoes of an old building, especially in the wide open spaces. The other element of the film that really stands out is the cast. 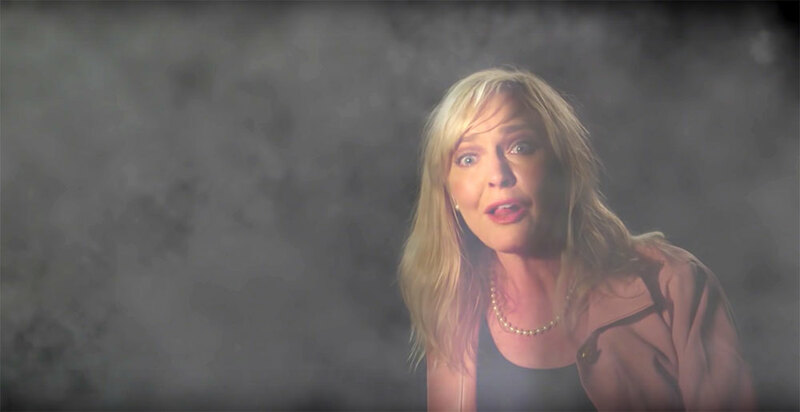 You have genre legends like Bill Moseley (HOUSE OF 1000 CORPSES, TEXAS CHAINSAW MASSACRE 2), Lisa Wilcox (A NIGHTMARE ON ELM STREET 4 and 5), Ashley C. Williams (THE HUMAN CENTIPEDE) and Clint Howard (CARNOSAUR, TICKS) leading the way. It was interesting to see Bill playing a much more subdued role in this, especially as a preacher (I kept waiting for Otis from HOUSE OF 1000 to come through), but a fun performance nonetheless. However, with the good comes the bad and in this film, the lack of practical FX and the overuse of digital FX is one of the things that REALLY hurt this film. Now granted, religious horror does not necessarily have to be a gore and blood bath to be effective, but SOMETHING along those lines would have helped considerably. At times the digital FX really took away from your suspension of disbelief and left you wondering if perhaps the FX work was incomplete. With the film having an estimated $1,000,000 budget, less digital FX work and more practical work would have certainly opened the film up to improve in other areas. 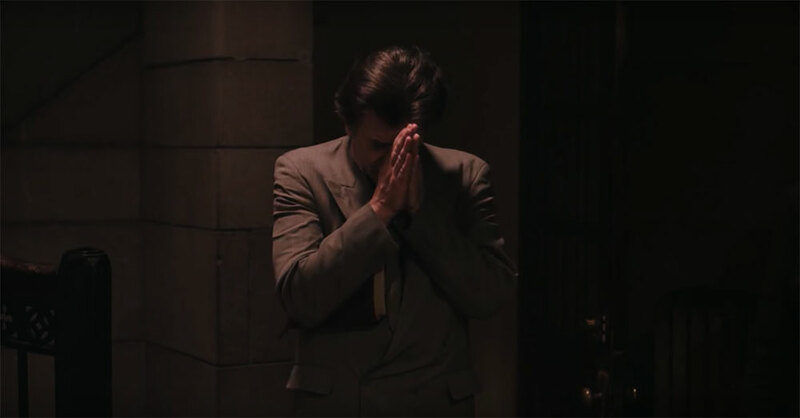 There are also times in the film that it feels like the script was rushed, in particular the elements of the backstory that give you history on why the things are happening in the church. Some of the character interactions come across as clunky, and the dialogue may seem forced in parts and the ending almost seems to be tacked on as an afterthought. As an overall, this film is a mixed bag that has some really good elements and a few glaring misses that truly keep it from being something everyone should run and see. You get the good performances that you would expect from the main actors and actresses, but you are left to wonder what could have been if maybe some up the performances were turned up just a bit. On the same token, this film is an example to young film makers everywhere what can happen when you use digital FX as a crutch instead of as a tool to enhance what is already there. It really is a shame because there are certainly elements of this film that could have taken it to the next level and made this rich for sequels and prequels for years to come. It will be interesting to see if this comes across any differently when the DVD/Blu-Ray is released for home audiences to view. 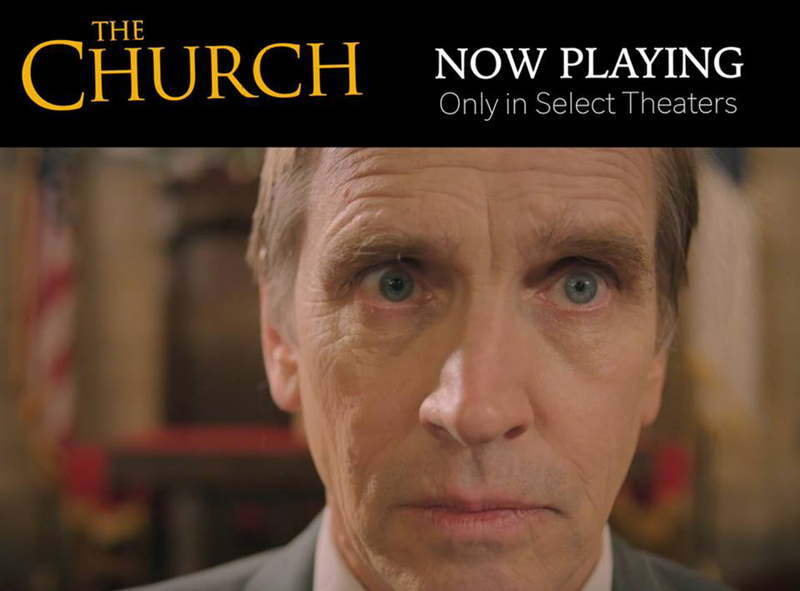 Currently, THE CHURCH is out on a limited theatrical run in select cities and theaters.